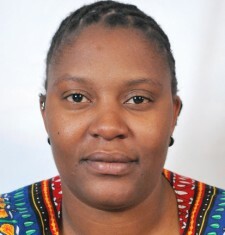 Kutlwano Pearl Magashula has a Bachelor of Laws from the University of Swaziland and has previously worked as a regional program coordinator and public prosecutor. Kutlwano has joined ISLA as a Legal Researcher under the Sexual rights program. She provides support to the litigating team as well as network partners by conducting research on substantive issues of comparative and international human rights law and practice as well as developing capacity strengthening tools and publications to strengthen the work of the Sexual Rights network. Her greatest passion is ensuring that all people are able to live autonomous lives, free from controlling interferences and limitations that prevent choice. Her calling and commitment is centred on the belief that the global struggle for women’s rights in particular, is far from over, as women still have to deal with inequality, patriarchy, victim blaming, the appropriation of bodies and the constant erosion of reproductive and sexual rights. Thus for this reason, joining the Initiative for Strategic Litigation in Africa (ISLA) was a natural fit for her. “When I dare to be powerful- to use my strength in the service of my vision, then it becomes less important whether I am afraid”- Audre Lorde. Kutlwano is inspired by powerful, fearless black women such as Lorde who dare to love, fear and triumph. Kutlwano self-identifies as a social justice activist, a Pan-Africanist and a fierce feminist. She is also a member of various social movements. She is also an avid reader and a collector of classic miniature car models.